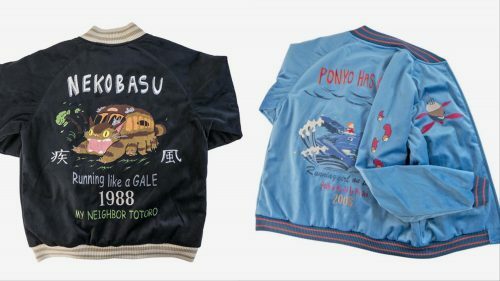 To celebrate the anniversaries of two of its best-loved films, My Neighbour Totoro and Ponyo, Japanese animation studio Studio Ghibli’s fashion brand – GBL has created a pair of souvenir jackets adorned with Hayao Miyazaki’s most magical characters – Catbus and Ponyo. Both jackets are made of “velveteen” material, perfect for layering. With size S being made available this time, unlike previous releases, even the petite ladies can wrap themselves up in some Ghibli magic. GBL ships to Japan addresses only, so sign up with us to get access to our Japan warehouse. We will bring the items back to Malaysia, always RM10/lb!